Salt Lake ski lodging options are featured on this page of our 2019 Visit Salt Lake.org Travel Guide. Ditch hotels! Discover new lodging. We provide the best ski vacation home lodging in Utah. Our homes are the largest Salt Lake ski vacation homes at the base of Little and Big Cottonwood Canyons minutes to Snowbird, Alta, Solitude, and Brighton. Homes also available in Park City at Canyons Resort. At Utah's Best Vacation Rentals, you're able to stretch your ski vacation budget by accommodating more people in one large home, where hotels simply can't compete. 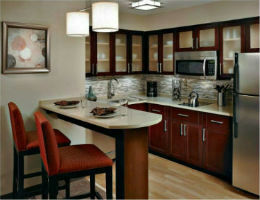 Our homes are the best value lodging anywhere in Salt Lake. We can accommodate up to 35 people. Enjoy a private hot tub, full kitchen, flatscreen TVs, free WIFI, satellite TV, and discounts on ski rentals, lift tickets, SUV rentals, and private door-to-door transportation from local businesses we've partnered with. We also offer luxury estates with movie theaters, game rooms, and more. A Suite Deal! The Staybridge Suites on Salt Lake City's Ski Corridor is offering a Special Hot Deal for this ski season which includes ( 2 ) Two Alta or Snowbird Lift Passes! You'll get a Gorgeous Suite that can sleep Four (4) Guests plus Two (2) Adult Lift Ticket's to your choice of Alta, Snowbird, Brighton or Solitude Ski Resort starting at $269. a night plus tax. Plus a Full Hot Breakfast Buffet in the Morning. 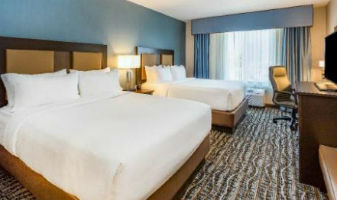 The Holiday Inn - Salt Lake's Newest Hotel is offering a Special Hot Deal for this ski season that includes ( 2 ) Two Alta or Snowbird Lift Passes! You'll get a Gorgeous King or Double Queen Room that can sleep Two (2) Guests plus Two (2) Adult Lift Ticket's to your choice of Alta, Snowbird, Brighton or Solitude Ski Resort starting at $284. a night plus tax. And Kids Stay & Eat Free!